This shop has been compensated by Collective Bias, Inc. and its advertiser. All opinions are mine alone. #StickItToLint #CollectiveBias. Crafting is messy. That’s just part of the creative process. I’m blessed to have a dedicated craft room so I can leave my mess and just close the door. But even if I’m the only one who sees this room I need to do a little cleaning from time to time. 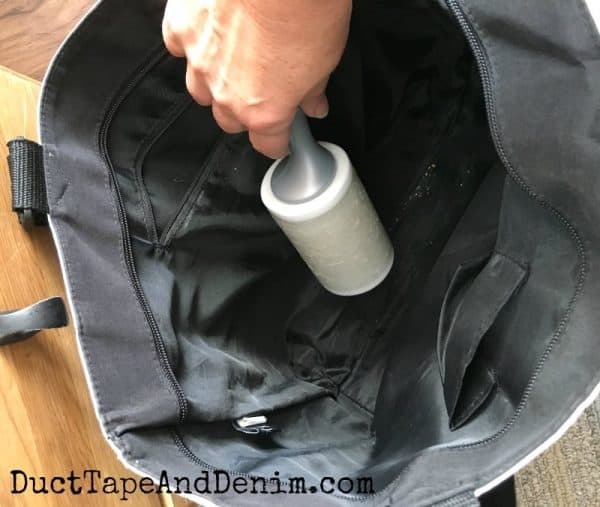 Today I’m going to focus on how to clean your craft room with my secret weapon, a lint roller. For this post I first headed off to my local Walmart to pick up a Scotch-Brite™ 50% Stickier Lint Roller. They can be found in a couple of places in the store. My store was sold out on the cleaning aisle but I found them in the storage and laundry section. I’ve used the Scotch-Brite™ Lint Roller before. It’s great for keeping my clothes lint, hair, and fuzz free. I keep it in my closet to use on pants, coats, sweaters, and dresses. 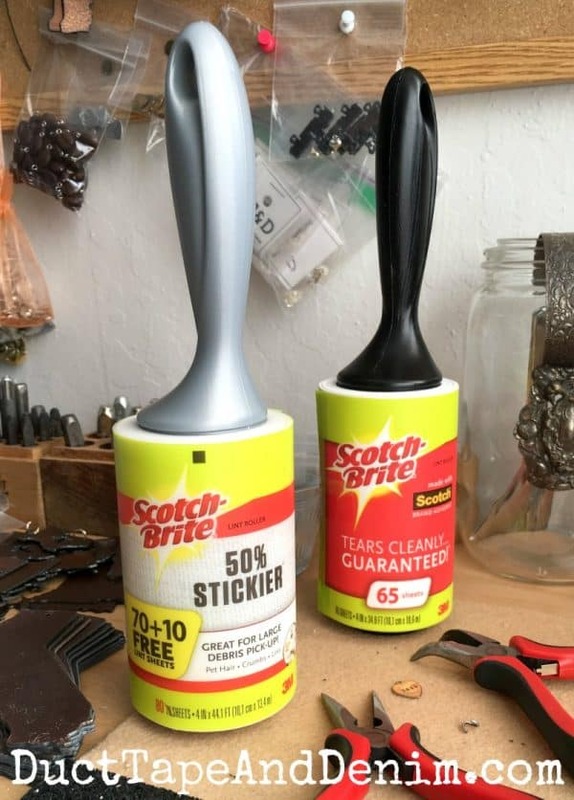 The Scotch-Brite 50% Stickier Lint Roller has 50% more adhesive to grab even more! It will pick up larger debris like crumbs, sand, tiny beads, and glitter so you don’t have to pull out your vacuum. Plus, you get 10 extra sheets on each roller. It’s important to tear these sheets off after using them to keep the roller sticky. It’s amazing how much dust gets on these lampshades! When I use a duster it flies all over the place. Now that I know about using a lint roller to clean lampshades I don’t put off this chore like I used to. I try to take down all my curtains and wash them once or twice a year. But my kitty likes to sit in the window and there’s always a little spot of cat hair on the back of my craft room curtains. A few passes with the lint roller gets rid of that. I love my fabric covered office chair. But in the craft room it often gets covered with glitter, pencil shavings, or more of that kitty hair. I was surprised how much other dust was on it. Can you see the difference between the side I cleaned and the side I didn’t on the back of the chair? Sometimes I just don’t want to pull out my vacuum. It’s amazing what the 50% Stickier Lint Roller picks up! It will even get jump rings, beads, and bits of wire after a wild day of making jewelry. 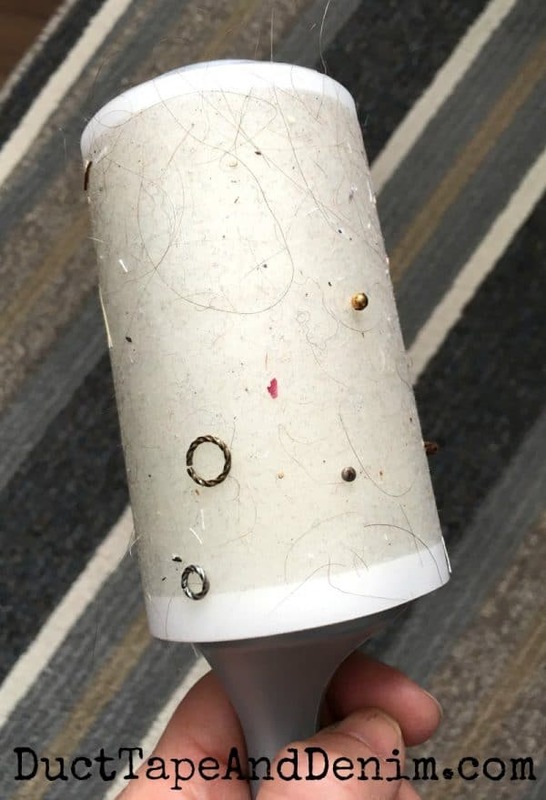 Use the lint roller to clean up stray threads from your sewing projects. I also work on a piece of felt so my beads don’t roll off the desk. It attracts bits of metal and gets dusty, too. A quick sweep around the bottom of the tote bag picks up all the thread or yarn bits, glitter, or even snack crumbs. Leave a comment and let me know what you have cleaned with a lint roller. 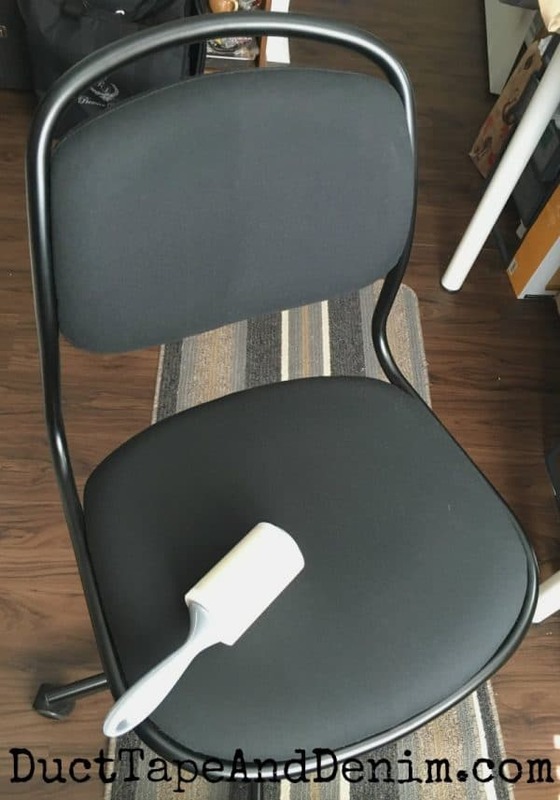 Check out this website for LOTS more cleaning ideas with lint rollers. 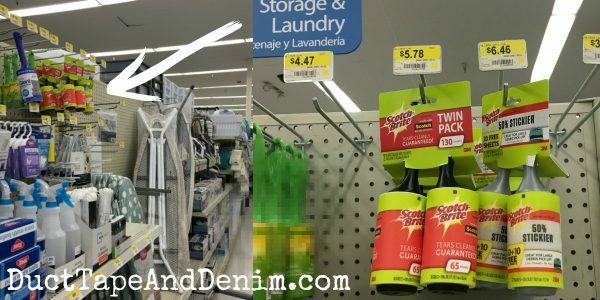 You can also purchase Scotch-Brite™ 50% Stickier Lint Rollers on the Walmart website. Thanks for reading! Don’t forget to leave a comment and let me know what you clean with lint rollers. We join these blog linky parties. 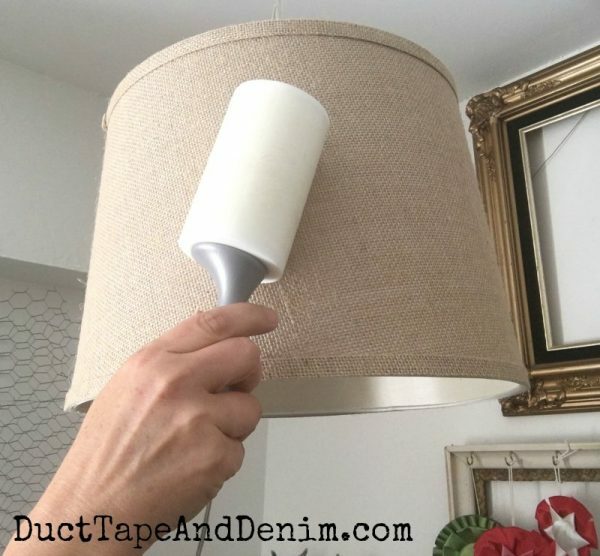 I just cleaned my lamp shade with a lint roller – it is amazing how my dust came off of it! Thanks for sharing at The Blogger’s Pit Stop! I like the lamp shade idea. Thanks for sharing at What’d You Do This Weekend? I just used my lint roller today. I don’t know what I’d do without it! Thank you for sharing this with us over at Funtastic Friday. Pinned & sharing! Brilliant, and I’m going to need these for my office after the makeover, and to clean my purse.